Time lapse day to night. 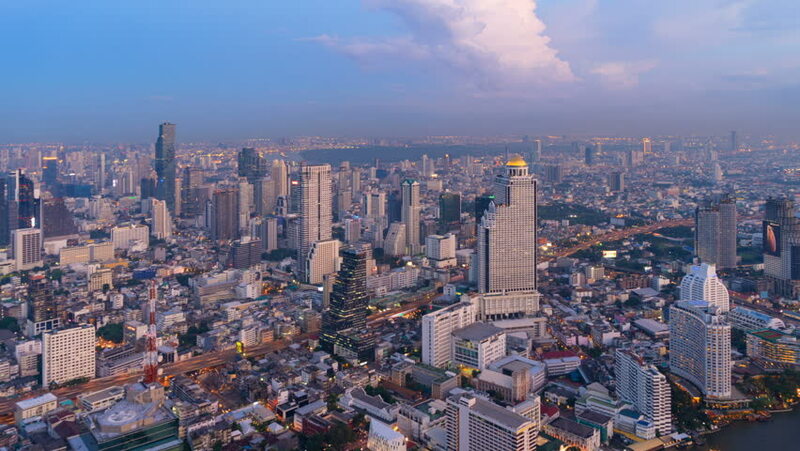 Aerial view of Sathorn, Bangkok Downtown. Financial district and business centers in smart urban city in Asia. Skyscraper and high-rise buildings. hd00:36TOKYO - NOV 10: With over 35 million people, Tokyo is the world's most populous metropolis and is described as one of the three command centers for world economy November 10, 2012 in Tokyo, Japan. hd00:11Cinematic drone shot flying into a modern urban city. 4k00:21Beautiful Bangkok cityscape time lapse during sunset.